If there is one thing Bob’s Watches loves more then used Rolex watches, it’s our fantastic customers! That’s why Bob’s is proud to announce October is our official “Customer Appreciation Month”. During October only, Bob’s Watches is offering new guests and visitors the opportunity to earn free stuff, beginning with a new Apple iPad! We’ve been listening to you and appreciate all the great conversations and friendships we’ve been building – and we want more, so we’re asking for your help in a One-Click way to help you win! An iPad is currently priced in the $500 range, but helping us connect with other Rolex watch lovers takes less than 3 minutes. Learn more below. 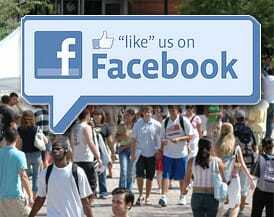 Winning is simple, so easy in fact that all you have to do to enter is “Like” us on Facebook (easy right?). To make it easy for you, we’ve included a button below. Click the Facebook logo below to be redirected to our Facebook page where you can join the hundreds of other Rolex lovers and share your thoughts, ideas, and questions. Do all 3 of the above and receive 2 additional BONUS entries, for a total of 5 entries! 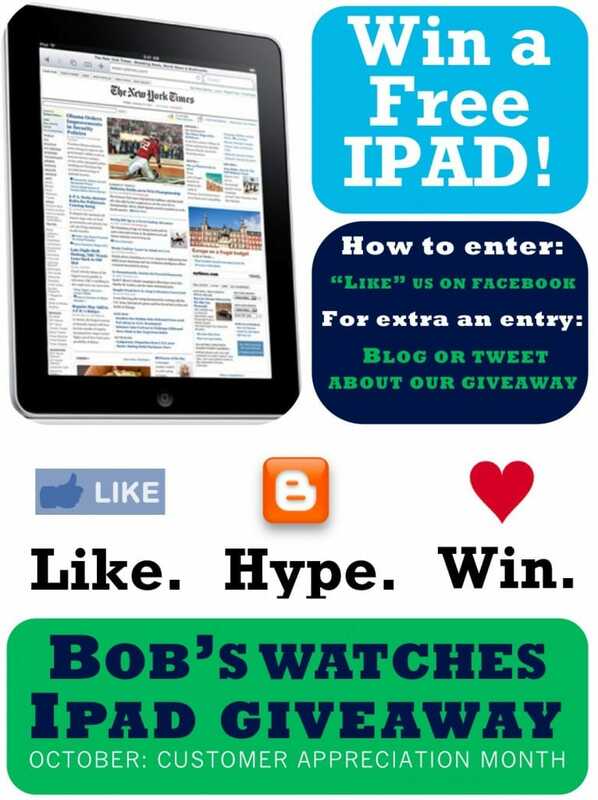 On October 31, 2010 Bob will pick one of our amazing Facebook “fans” and award them with a iPad. **Bob’s Watches is an independent Rolex watch dealer and is not affiliated with Apple Inc. Apple, www.apple.com, is under no obligation to warranty items given away by Bob’s Watches. “iPad” is registered trademark of the Apple Inc. Bob’s Watches is in no way affiliated with Apple Inc, Rolex S.A, Rolex USA, or any of its subsidiaries.